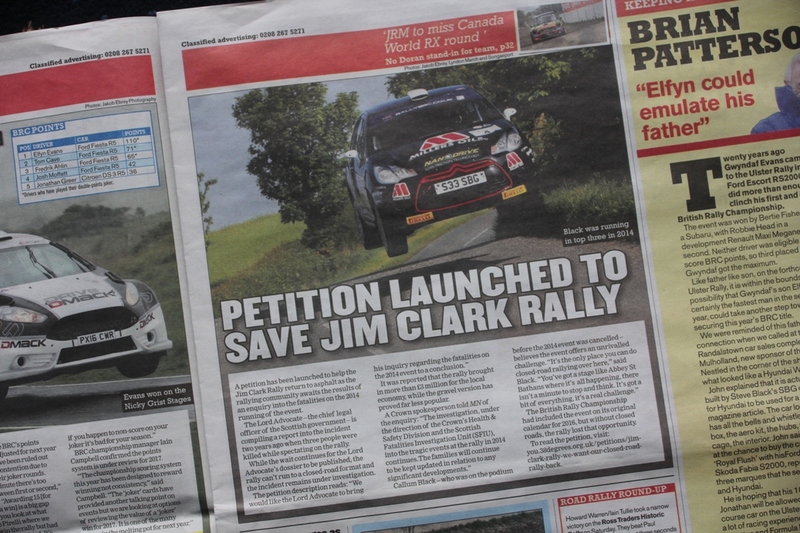 'Motorsport News' has joined the Jim Clark Rally petition with an appeal this week for readers to sign-up and support the cause. Numbers stand at just over 1,500 at present on the on-line petition, with the paper versions managed by club members continuing to attract support too at the various events and shows they are attending. More are need to keep the pressure on. Tell your friends and relatives, workmates and school pals, to get on-line and just DO IT. Please.